I love eggplant, but it has a reputation for being finicky. It’s easy to over-oil and over-salt it, and many people are intimidated by over- or under-cooking it. People have strong opinions about eggplant, but I’m here to share a really easy and absolutely delicious way to prepare it. The secret to its creaminess is the roasted zucchini. (Using roasted zucchini to add creaminess to things is a great way to use it; see also Hot For Food’s zucchini carbonara sauce and Caitlin Shoemaker’s zucchini blueberry breakfast oats). This sauce (or puree, depending on how much you want to thin it out) is delicious on pasta, on toast for bruschetta, to dip fries in, spread on a tortilla and top with veggies and tofu for lunch… honestly the possibilities are endless. Eat it with tortilla chips! Stuff tomatoes with this and some lentils! Mix it into rice! Eat it with a spoon! All it takes is some roasting and then you toss everything in a blender. Hooray for simple and versatile foods! 1. Preheat your oven to 425 degrees F. Line a baking sheet with parchment paper or a silicone mat. 2. 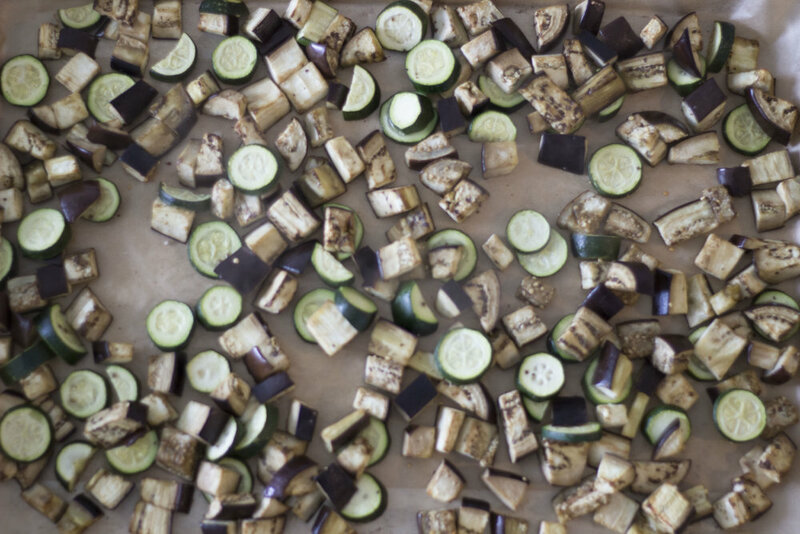 Toss the eggplant and zucchini in a little oil, salt and pepper, spread in a single layer on the baking sheet, and roast for ~45 minutes or until soft. 3. Let the roasted veggies cool a little while you roughly chop the parsley (keep the stems! ), zest and juice the lemons, and add these with the spices and tahini to a high-power blender or food processor. Add the zucchini/eggplant and blend until smooth. This is where you can add water and/or oil, a little at a time as it blends, to help it along if the puree is too thick. You may need to scrape down the sides a bit. 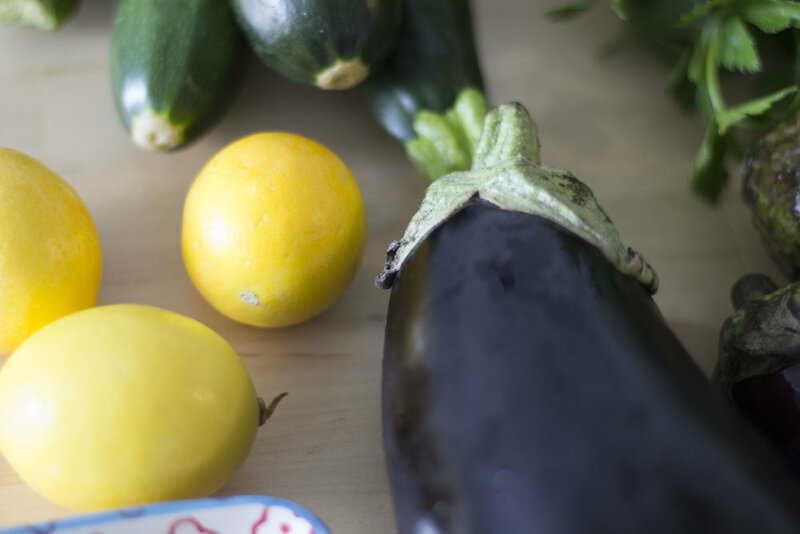 Just don’t add too much liquid at once because it could get watery; eggplant and zucchini, even though they’re dried out by the oven, still have moisture. 4. That’s it! Serve it up any of the ways listed above. My favorite is to toss it with pasta and put some roasted cherry tomatoes on top. You could also add some fresh basil to the puree if you’ve got it! Enjoy friends!